If you’re suffering from a pinched nerve, you’re already well aware of how painful this condition can feel. At Taylor Rehabilitation and Wellness Center, we have provided relief to many patients who suffer from pinched nerve pain. If you would like to experience relief from your pinched nerve and related symptoms, contact us today to make an appointment for an exam with one of our Chicago IL chiropractors. 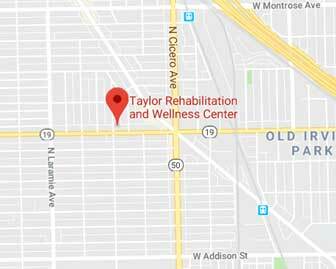 The Chicago IL chiropractors from Taylor Rehabilitation and Wellness Center can effectively treat a pinched nerve by focusing on realigning the spine and enabling the body to heal itself without the need for surgery or prescription drugs. How does a pinched nerve develop? When the nerve that runs along the back’s vertebrae is compressed, constricted, or stretched, it can cause a pinched nerve. This commonly occurs as the result of a back injury, bone spurs, a fall, or after suffering any other type of spinal trauma. As a chiropractor might explain, the degree to which someone’s spine is misaligned has a direct bearing on the severity of the pinched nerve. When the spine is misaligned in any way, it can impair a nerve’s ability to communicate with the body’s cells, organs, and tissues. This is when pain develops. The body has many nerves, and any one of them might become pinched. However, the most common areas are the back and neck. This is because even normal movements such as twisting, turning, walking, or even standing awkwardly can misalign the spine and pinch a nerve. Our chiropractor can examine you and determine the cause of your pinched nerve and treat that cause, rather than the symptom, in order to provide a long-term healing solution. A chiropractor considers a patient’s entire body, not simply the localized area where the pain is located. This approach is particularly effective when treating pinched nerves because the location of the pain is not necessarily where the source of that pain is located. For example, a patient may feel pain from a pinched nerve in their leg, but the pinched nerve is actually located in their back. The chiropractors at Taylor Rehabilitation and Wellness Center will treat a patient suffering from a pinched nerve by adjusting their spine. 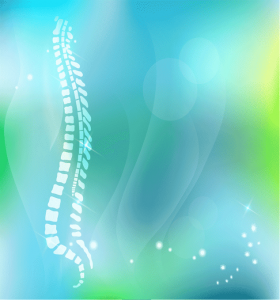 A spinal adjustment is intended to reduce nerve constriction and relax the surrounding muscles. A chiropractor uses their hands to perform special movements and manipulations rather than using invasive surgery. Our chiropractors can treat a painful pinched nerve Chicago IL patients struggle with and are happy to meet and discuss with you how we can help treat and alleviate your painful conditions. Call Taylor Rehabilitation and Wellness Center today.